Mr. Chin Ho Lee is the Revell Group International (RGI) Vice President for Asian Operations. He maintains offices in Seoul, Korea and Jakarta, Indonesia. Mr. Lee was born in Korea where he attended Yon Sei University in Seoul obtaining a BBA degree. After his graduation Mr. Lee immigrated to the United States and attended the University of Washington where he obtained a Masters Degree in International Business. Upon obtaining his American citizenship Mr. Lee was appointed a Special Agent of the Federal Bureau of Investigation. After various field assignments he was promoted to Supervisory Special Agent rank and assigned as an instructor at the FBI Academy. Special Agent Lee was thereafter selected by FBI Executive Assistant Director Oliver “Buck” Revell to serve in the Bureau’s newly established Office of Liaison & International Affairs. Special Agent Lee was instrumental in assisting the South Korean Government prepare for the 1988 Seoul Olympic Games and made several trips to Korea to directly facility Security preparations for the games. Mr. Lee resigned from the FBI in order to return to Korea as a senior executive in the Hyundai Corporation. 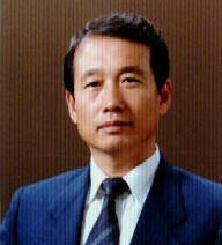 Mr. Lee served as Chairman of three Hyundai companies and as principal assistant to the Hyundai Group founder. In addition to his executive responsibilities for the Revell Group International, Mr. Lee is also Chairman of two Korean Companies, the Mozon International Corporation and the SOS7 Corporation both headquartered in Seoul. Mr. Lee is active in the Korean/American Chamber of Commerce, the Overseas Security Advisory Council of the U.S. State Department, the Society of Former Special Agents of the Federal Bureau of Investigation, and the American Society for Industrial Security. Mr. Lee’s son Doctor Bum Soo Lee, a graduate of Georgetown and Columbia Universities, is also associated with RGI in Asia.